Flight sales are generally pretty straightforward. The airline offers low-cost tickets. You figure out how much it'll cost to bring some bags. That's about it. However, that's not the case with this week-long sale from Scandinavian Airlines. 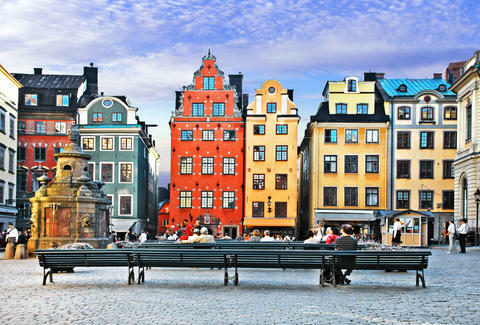 The airline has flights out of Boston, New York, Miami, Washington D.C., Chicago, San Francisco, and Los Angeles, and it flies to locations in Sweden, Norway, Finland, and Denmark. Children must be age 11 or younger, but there aren't many restrictions beyond that. There isn't even a one kid per adult rule. 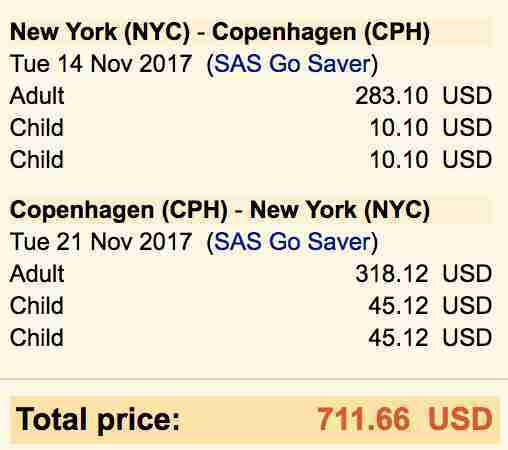 For instance, this roundtrip flight to Copenhagen for $601 has two free child tickets attached to a single adult ticket. 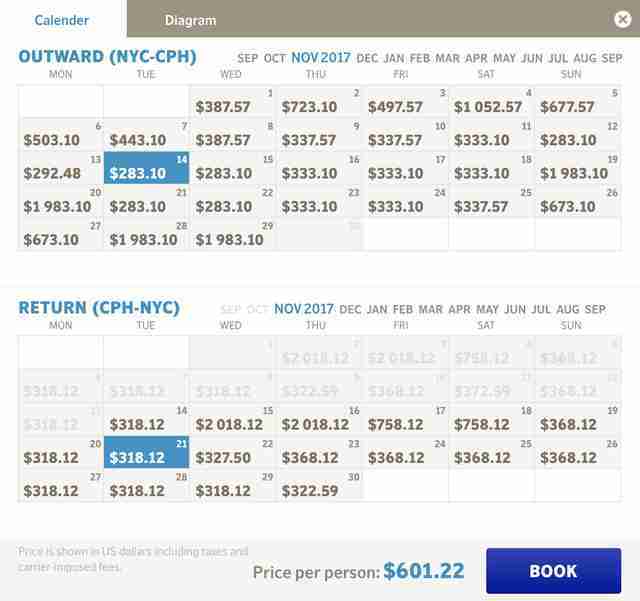 With two kids and an adult, the price comes out to about $237 per person for the roundtrip flight. The deal is good for either of the airline's SAS Go or SAS Plus classes. Though baggage restrictions change between those classes, and that can impact how cheap the total cost will wind up being. Each ticket gets a free carry-on no matter what the class. After that, SAS Go Light doesn't get a checked bag, SAS Go gets one, and SAS Plus gets two free checked bags per ticket. To take advantage of the deal, you must buy before October 5, and your flights must be between November 1, 2017 and May 31, 2018. Additionally, there are a few blackout dates around holidays. You don't see this kind of flight deal basically ever, so it's a quality excuse to go to Scandinavia if you've got kids. Dustin Nelson is a News Writer with Thrillist. He has experience with all the pratfalls of flying with kids. Follow him @dlukenelson.